Mid-May, an ex-work colleague of mine sent me an email. She and I had talked once about blogs and I’d mentioned my feed reader and explained how it worked. She had no idea where to start looking for a feed reader and searching for one had just confused her more, could I recommend a good feed reader? I was writing my reply to suggest Inoreader but I wanted to include a link to a quick how to get started guide. A lot of the get started guides talked about how to import feeds from another feed reader, which my friend would not need to do. I figured it would be easier to create something simple which would not confuse her, so I sent screenshots and instructions. Then I thought, why not put a how to guide here on the blog as well? So without further ado.. If you do not have a feed reader yet, and you are looking for one.. Inoreader is brilliant and super quick. 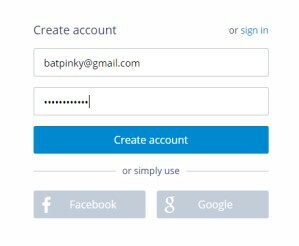 You can get started just by entering an email address and a password. 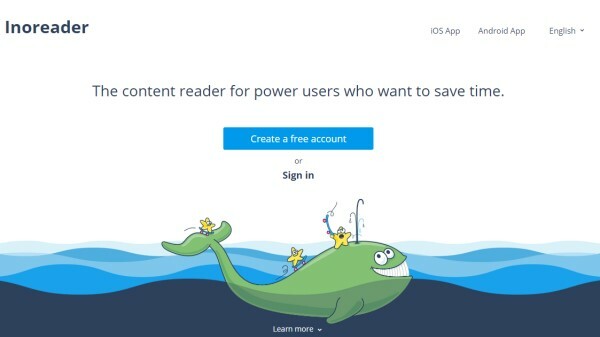 So open this link – Inoreader – in a new window, click on “Create a free account” and then follow this quick tutorial below to get feed reading. Yes, all you will need is an email account and a password. So once you have created your account you will arrive at the above screen. My advice – skip this first step. Chances are you know what blogs you want to subscribe to. You will then be offered a free tour. My advice – DO NOT skip this step. :) Take the tour. I’ll be right here waiting when you’re done. Ok, so the tour is over, and now you see the main Inoreader screen. Of course, you’ll want to add me right away! Just type in my name..
and there you see me. Select me, and then this screen will pop up. And there you have it – you subscribed to your first blog. Now, add in others that you want to read. You can try typing in the name, though be aware sometimes that might be a hard way to find a blog if the name is not unique. What if you type in the blog name and nothing comes up? Then you can try entering the blog URL. Lets put in my rewatch breaking bad blog URL. 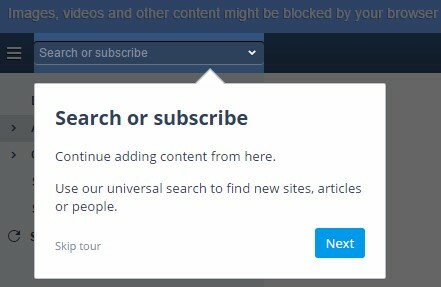 Once you enter it, Inoreader will go off and try to find a feed, once the feed is found you can click on it and it will automatically subscribe to that feed. By now you have probably received an email welcoming you to Inoreader and asking you to confirm your email. Simply click on the link to confirm your email address. So that gives you a quick overview of Inoreader and how to get started on setting it up. There is a really great support forum where questions are usually answered very quickly and the Inoreader blog has a lot of how to guides. Me personally here at home, we have TinyRSS set up on our server because after Google Reader screwed their users over, I wasn’t going to use a third party feed reader again. I wanted complete control. However for NaBloPoMo 2014, I tried out Inoreader and I found it to be excellent. They have a great support forum and when I asked a question there it was answered very quickly. Plus, you can create bundles to easily share your feeds with other people. 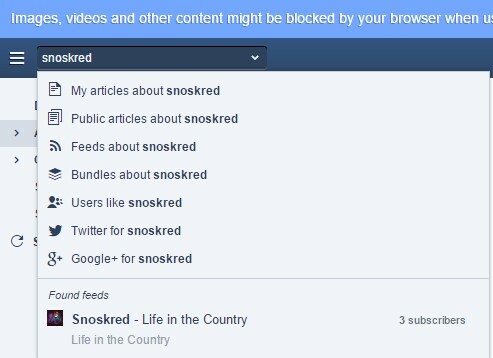 What Blogs Does Snoskred Read? I have a process which I follow – when I find a new blog, I add it to the feed reader. On the last day of each month, I post a New Feeds post, which links to all the new blogs I am reading. I test drive the new blogs for 6 months. At the end of 6 months I review each blog. If I have enjoyed reading the blog, I add it to the main blogroll. Over to you, tell me what you are using to read blogs. :) Would you like more how to guides for Inoreader? I use Feedly, it was the one I picked when Google Reader went away. I’m happy with it, I’ve never really thought about it to be honest. It’s all just there and it works! Great info . I will be taking a look at this. Thanks for sharing !